Last year Karbonn Mobile has launched Titanium S1 and now it seems they are planning to launch its next version as Karbonn Titanium S1 Plus was spotted online for Rs. 5,749. If we talk about its specs then Karbonn Titanium S1 flaunts a 4-inch WVGA with screen resolution of 800×480 pixels, Titanium S1 featured a 4.5-inch qHD display, and is powered by a 1.2GHz quad-core processor along with 1 GB of RAM. 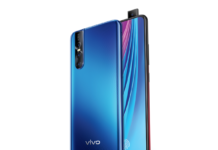 Also included is a 5-megapixel rear camera, and has VGA front-facing camera, it has 4 GB internal storage which can be expanded using a microSD card, it houses a 1,500 mAh battery. As per software front it runs on Android 4.3 Jelly Bean, and for connectivity it has dual-SIM card slots, 3G, Wi-Fi and Bluetooth. Karbonn Titanium S1 Plus comes in Black color and is priced at Rs. 5749 online. 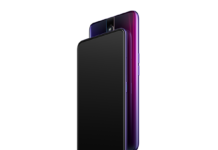 At this price and specs it will compete with Lava Iris 406Q.